What’s brewing this August at Enchanted Kingdom? 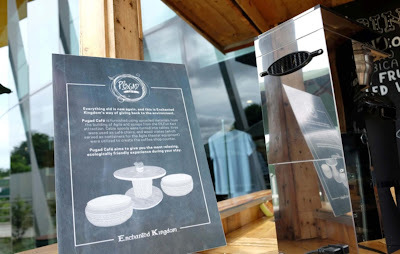 Following the successful launch of Enchanted Kingdom’s flying theater AGILA: The EKsperience in December 2016, a new facet of the “Agila” attraction opened last August 20, the PUGAD CAFÉ, an outdoor coffee shop with a sense of purpose. Located just outside the Agila building, this brand new concoction blends perfectly well with Pugad, Agila’s very own merchandise store. The new hangout is in keeping with EK’s Retail-tainment concept, which essentially entices guests to spend more time in the Agila building and get more from the attraction. Enchanted Kingdom’s Merchandise Division Head Cheri Consunji believes that it’s a means to complete the Agila experience by way of a new “Eat-tainment” offering. “Adding entertainment and experiences to the retail mix at Pugad Store will drive Agila park guests feeling like they had the full Agila experience. We are building a brand experience, that of Pinoy Pride, that’s enriching enough in its own right, but also amplifies that experience even after leaving the park.” Consunji explains. EK supports the livelihood of the country’s farmers by choosing homegrown products, and in turn providing farm-fresh and healthy food alternatives for Agila guests to try out. 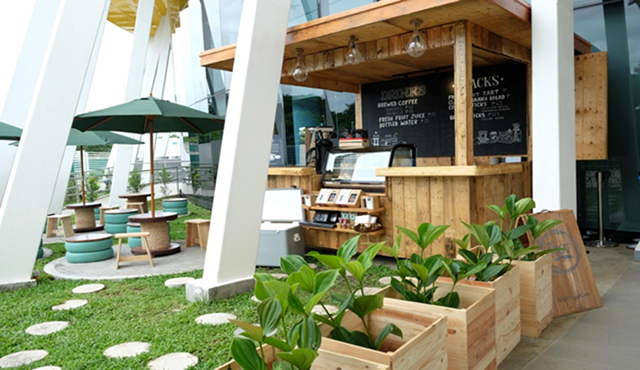 EK implements green practices through its architecture and upcycling methods, as evident in the Agila building and the Pugad Café. Small and medium-size entrepreneurs who produce world-class edible and handcrafted products have a home in EK. The Pugad Café features an array of weekly or seasonal specials to give guests plenty of reasons to come back and have a memorable “light” dining experience with every visit. 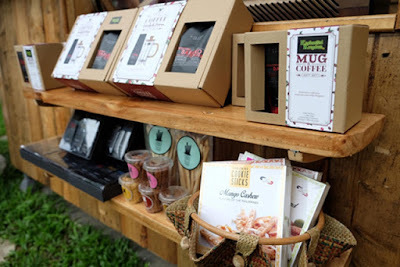 Enjoy world-class, all Philippine-made products like freshly brewed Arabica coffee and Kapeng Barako, healthy fruit juices, Bayani Brew tea drinks, fruit tarts, banana bread, cheese rolls, cookie and bread sticks. There will also be featured products each month, like the queso de bola ensaymada and the artisanal bibingka and puto bumbong in December.